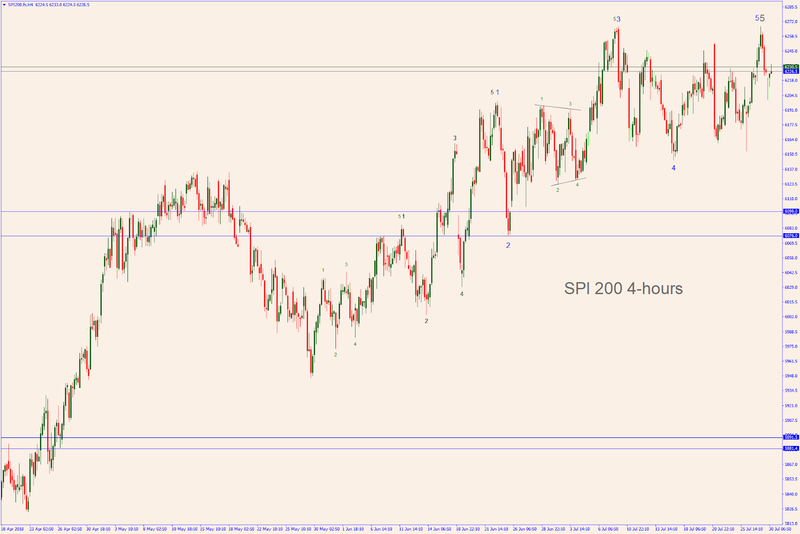 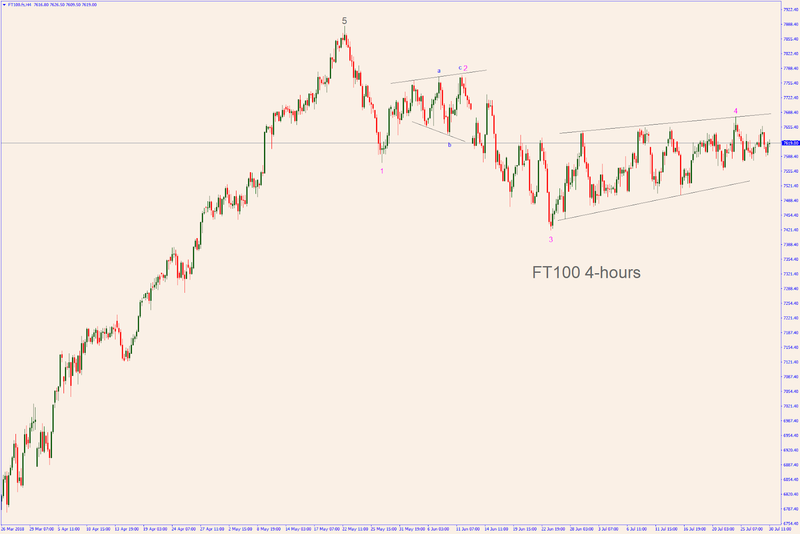 ELLIOTT WAVES by FX TUTORS: FT100 & SPI200 to turn South? Both the British FT 100 index (now at 7620) and the Australian SPI 200 index futures (now at 6230) might be aiming for a correction. 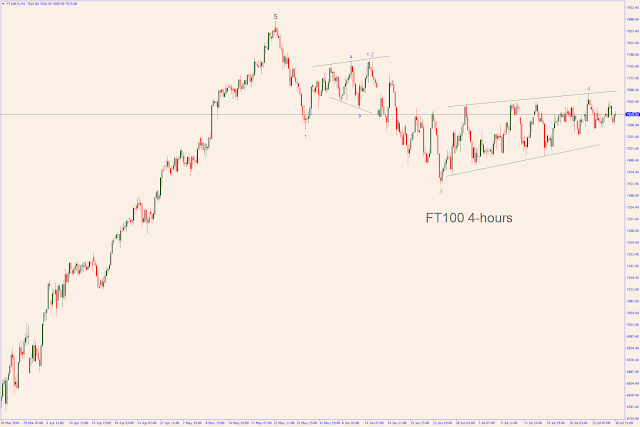 The fundamentals for this turnaround seem to be exclusively political for both countries but, on the technical side, the two indices might head to a similar destiny despite a different wave count. The daily and 4-hours charts show the completion of wave four. 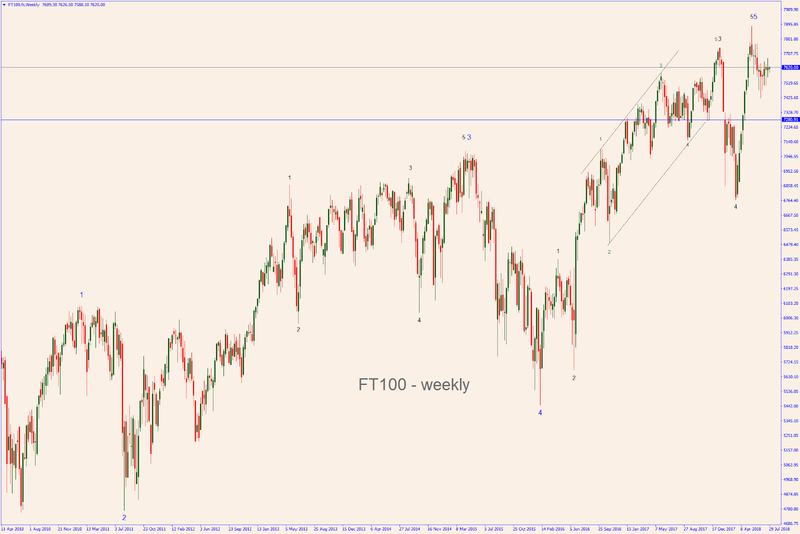 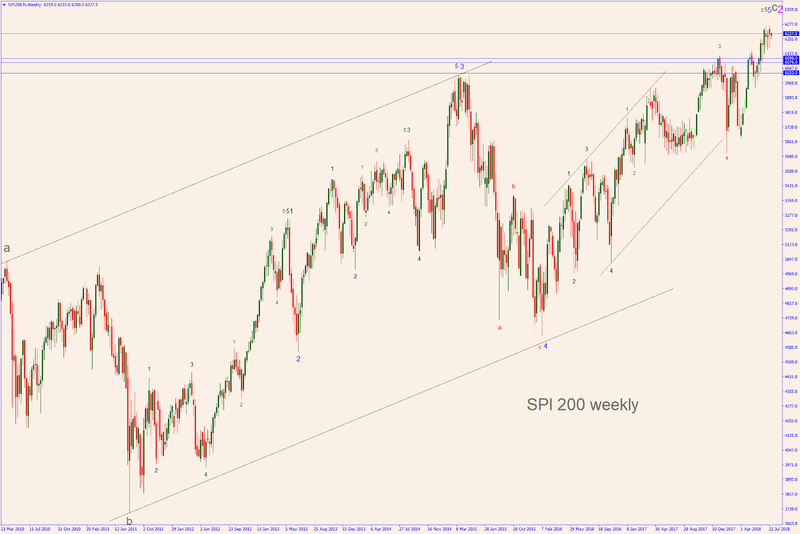 A drop to the 7280 area might follow soon to make room for wave five. The weekly and monthly charts display the completion of five waves up, signalling a top and the end of a major wave count. 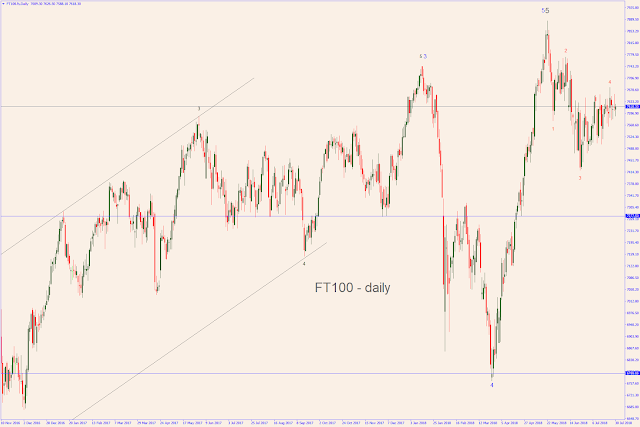 A correction should follow. 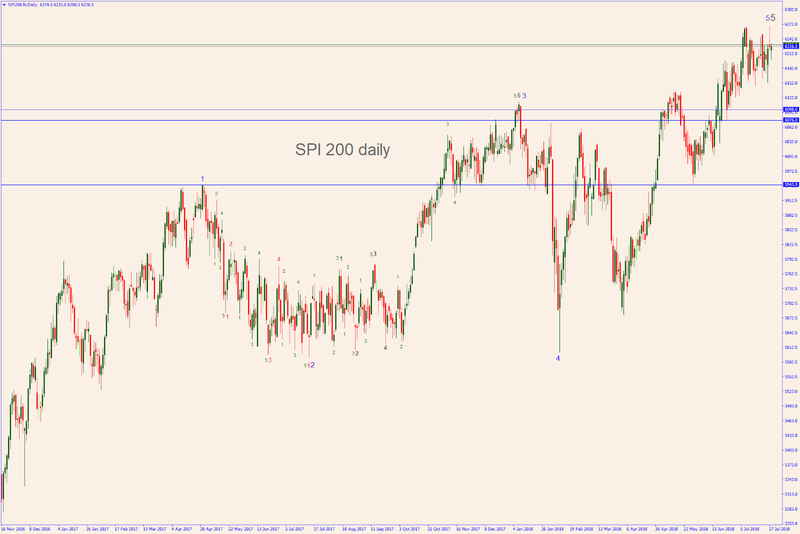 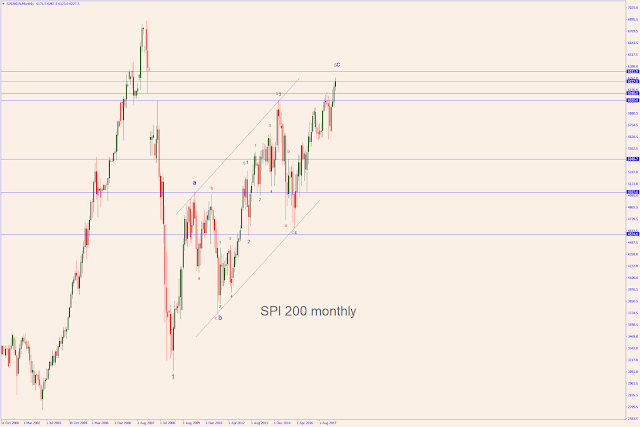 The SPI 200 (now at 6230) could still end its course around 6330 - see the top blue line in the monthly chart. In meantime, a correction might be under way. The daily and 4-hours charts show the completion of five waves as well as a dangerous double top. A drop to the 6098 or 6076 area might occur. 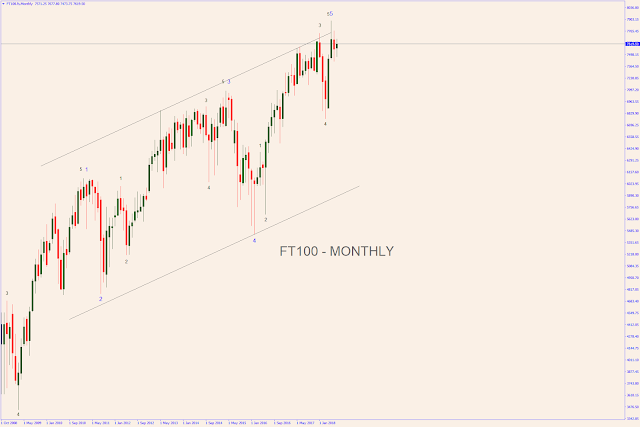 The monthly and the weekly chart shows that the huge a-b-c might not be completed yet and this correction might be only temporary.